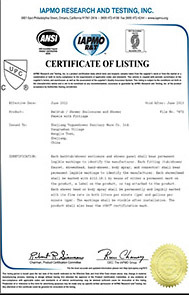 Tonusa believes that product testing is necessary due diligence to ensure we maintain a high quality standard. Throughout our history manufacturing, importing and distributing cabinetry and lifestyle products for the home, we have been testing against established U.S. and international standards such as ANSI and ASTM for quality and materials compliance. One of our largest factories has a self-contained testing lab which is fully equipped with state of the art technology and certified to meet the strictest standards. 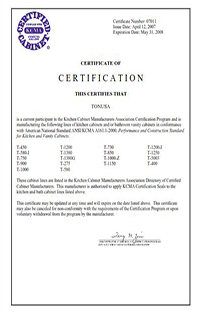 Tonusa also engaged one of the U.S.’s most respected wood testing laboratories, the Washington State University Wood Materials and Engineering Lab (WSU-WMEL) to conduct a wood integrity test to ensure our engineered wood materials surpass existing standards for such material. 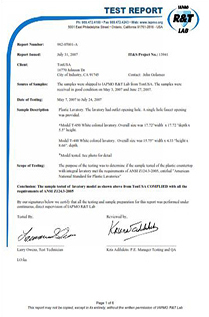 The results showed it not only exceeded the standard, it even performed better in tests against other sold wood samples. 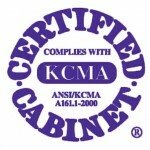 All our cabinets have been certified for durability, quality of materials and performance under various conditions by the Kitchen Cabinet Manufacturer’s Association (KCMA) and the aforementioned Washington State University’s prestigious and respected Wood Materials and Engineering Laboratory (WSU-WMEL). 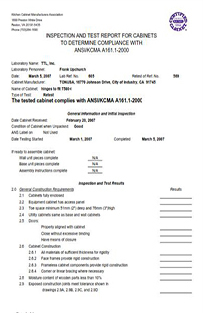 Aside from our cabinets, our cast-polymer vanity tops and lifestyle shower panels are also tested and certified by Uniform Plumbing Code (UPC).